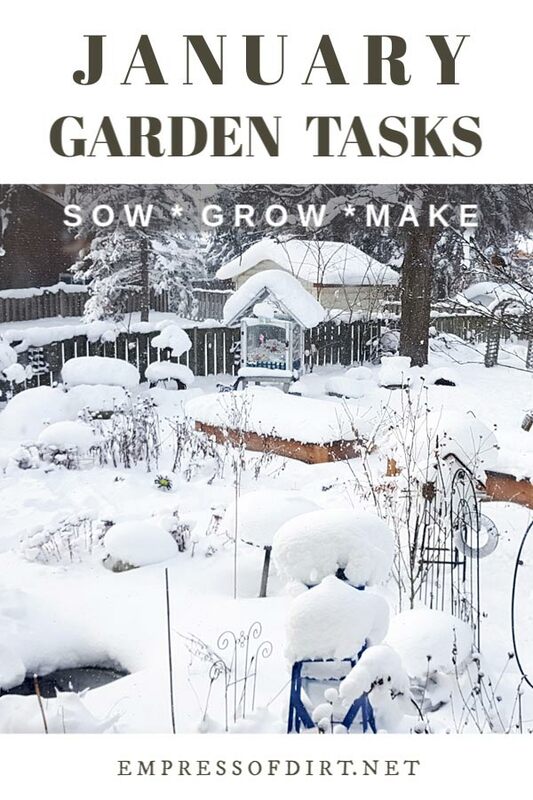 January garden tasks for cold-climate gardeners may include some winter maintenance, indoor growing, crafts and DIY projects, plus dreaming and scheming for the active growing season ahead. 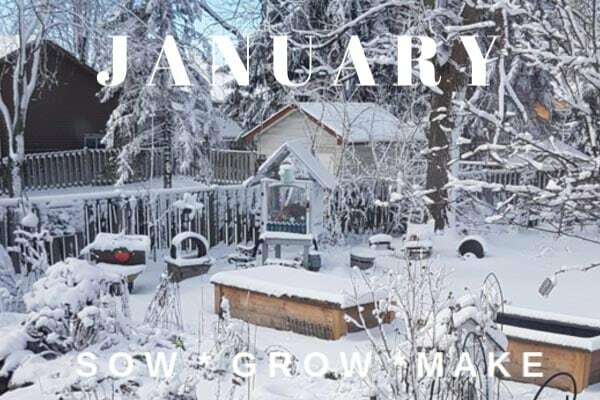 Here in southwestern Ontario, Canada, January is often wintery. The last gasps of autumn have blown away with the leaves, the trees and earth are bare, and temperatures can stay around freezing. That said, it’s not impossible that we have some warm spells. Early spring bulbs might make a surprise appearance, with crocuses and snowdrops adding colour to the otherwise monochromatic scenery. A few winters ago, I saw bees out and about in the middle of January. It was a brief warm spell, but enough to awaken them from their winter slumber spots. Other years, there is snow which keeps the perennials safely tucked away until spring. Check on planted containers in storage including bulbs and fig trees. Keep lightly watered and mouse-proof. Maintain winter vegetable garden. Water and air as needed. The right timing for pruning trees and shrubs is different for each species. 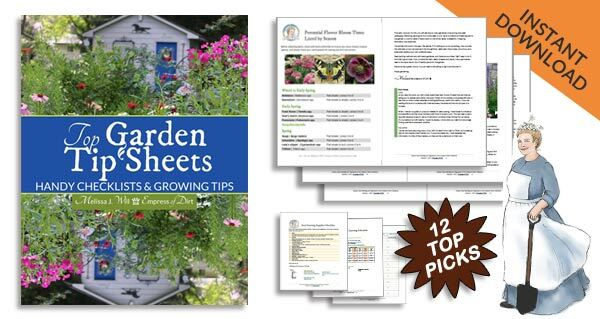 Put reminders in your calendar so you catch what’s needed in your garden. Late winter apple tree pruning is on my list (see more winter pruning tips here). Unless frozen, turn your compost pile when you can. Continue easy winter composting method. Make sure your pond does not freeze over. I keep a pump running, use a deicer (you can see one here) and a hole open in the ice. Provide homemade suet at bird feeders along with fresh, running water. Make sure nesting boxes are ready for bird mating season. Wash your bird feeders and suet cages. Grow salad greens and peas indoors. Grow holiday poinsettias as year-round houseplants and make them rebloom. And, don’t forget you can make Thanksgiving and Christmas cacti rebloom too. Whether or not you’re a fan of cold weather, you had to admit that winter is beautiful! Glistening snow. Bright sunshine. Quiet. Birds. I love it all. Ice decorations | Use fruit and botanicals to create outdoor art. Learn to hand feed birds | Winter is a good time for this. 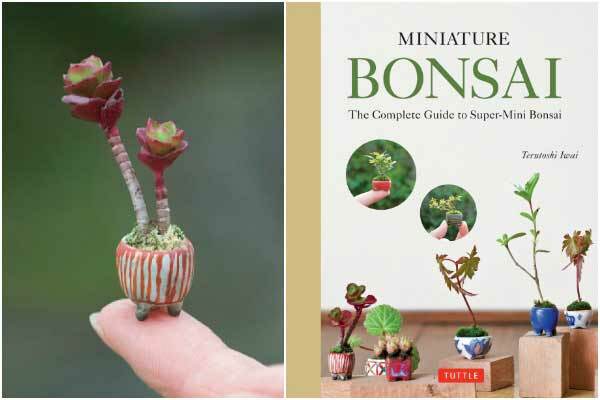 Make mini bonsai | It’s indoor gardening with an artistic touch. Make miniature garden accessories. 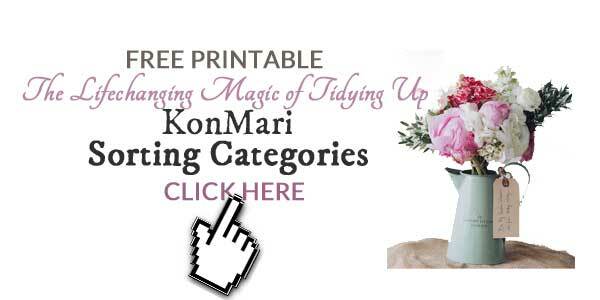 Easy, fun, and frugal to do! Make yourself a set of beeswax food wraps. They are a good alternative to single-use plastic cling wrap. It’s a good time to get your seed inventory in order. Order seed catalogues or browse online. 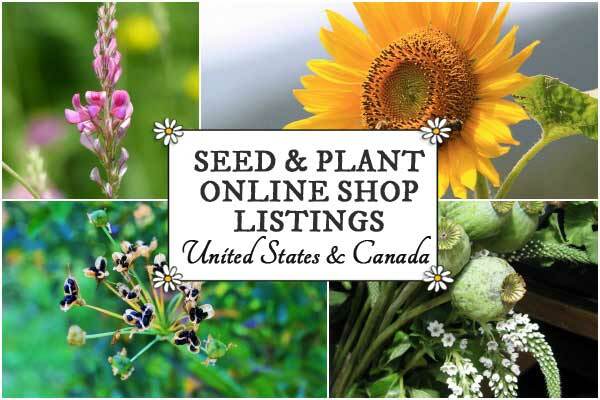 Here’s a directory of seed companies in Canada and the United States. Order bare-roots plants including asparagus and cane fruits (they are shipped at planting time). 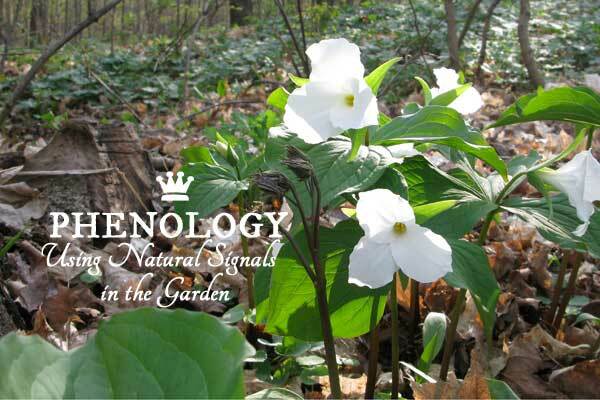 Seasonal changes prompt natural responses in the plant and animal kingdoms. It is interesting to note these events and compare year over year. And it is these things that will be affected, and are affected now, by climate change. Here’s a few examples you might notice. Now that winter solstice is behind us, we see the coldest days of winter and the gradual return of the sun. Bare trees – deciduous trees have dropped their leaves and plants are dead or dormant. Birds frequent old growth for nourishment. Warmer days become social gatherings for wildlife. Birds, squirrels, and chipmunks, all become more active. Pond fish move around more. A few warm days may trigger growth in early spring bulbs including crocuses and snowdrops. I followed this method (The Lifechanging Magic of Tidying Up) and my home (inside and outside) has remained clutter-free ever since. Perhaps it will work for you too.